The iPhone 8 is going to be the most exciting new iPhone this year (or next), featuring a brand new design that will bring some interesting features not seen before. One of them is an almost bezel-free display that will occupy the entire front side of the device. 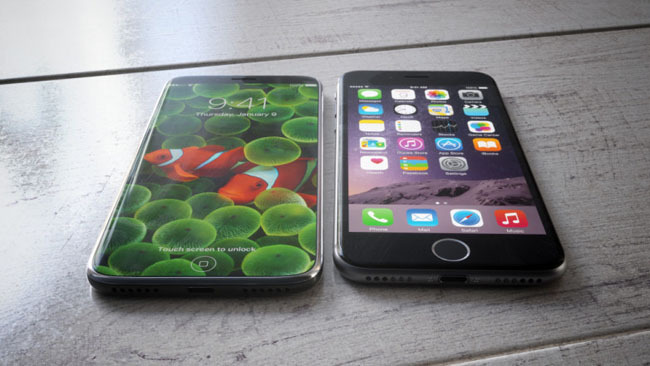 That means users will get a large screen in a body that will closely resemble the current 4.7-inch iPhone. It also means Apple will likely increase the screen resolution to account for the extra height. But because the iPhone 8 is Apple’s flagship smartphone this year, it means the phone’s resolution has to be at least on par with the resolution of the Plus models, if not better. That’s likely the iPhone 8, and that resolution fits earlier predictions from Apple insider Ming-Chi Kuo. In February, he said in a research note that the iPhone 8 will likely have a 5.8-inch display with 2800 x 1342 resolution which will include a functional area near the bottom. The actual usable screen portion of the iPhone 8 will measure 5.15-inch diagonally, or 2436 x 1125. Naturally, only Apple can confirm the iPhone 8’s specs. But it looks more and more likely that the iPhone 8’s usable screen area will have a resolution of 2436 x 1120 that Apple may choose to rescale to something more familiar. The iPhone 8 Plus has a screen resolution 2208 x 1242, scaled down to 1920 x 1080 (or Full HD).